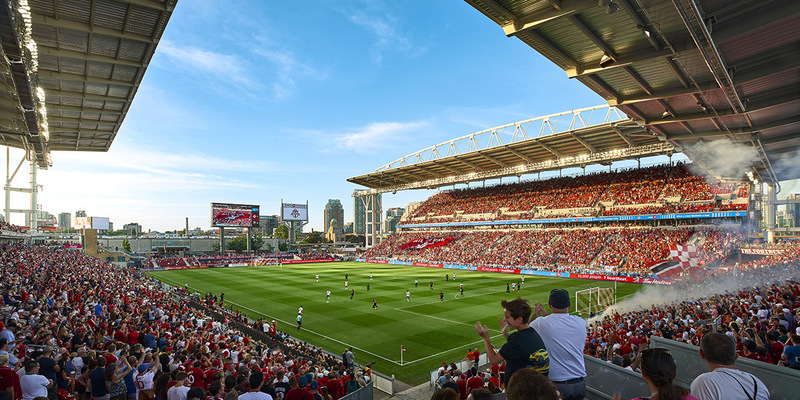 Completed in 2008, BMO Field has a seating capacity of 20,000 and is home to Major Soccer League (MLS) franchise Toronto FC. 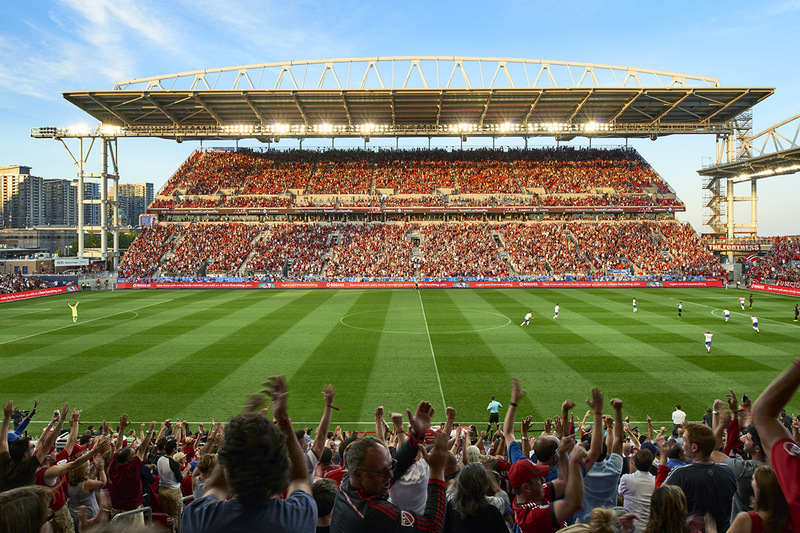 The enormous popularity of the Toronto FC and the stadium itself influenced the ownership to expand the seating capacity, add more types of seating, and construct a roof over all the seating areas. The expansion also included changes to the field and seating to allow for the use of the facility by a Canadian football team. The existing stadium provided seating surrounding all sides of the single-use soccer pitch. The north, south, and east seating stands included exterior concourses at grade for access, and washrooms and concession. The larger west stands included an upper exterior concourse as well as interior functions, such as change rooms, team offices, and the like. The west stands have two levels of seating and include an upper media level. 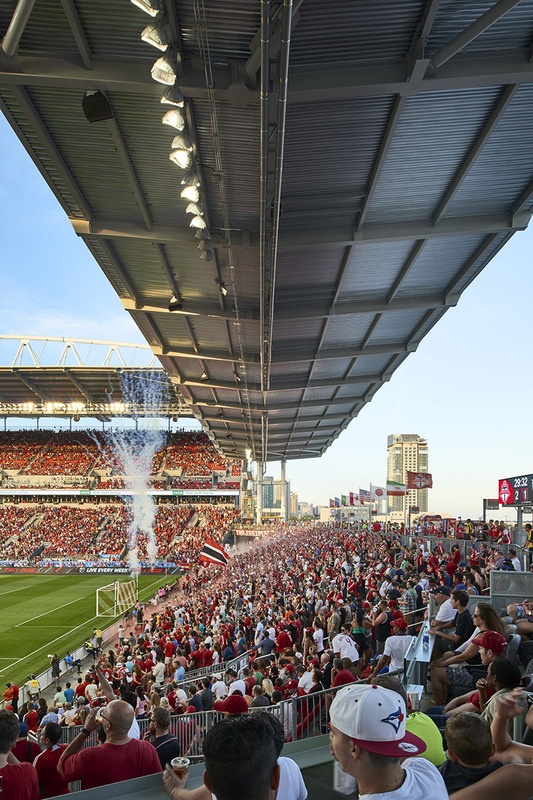 The expansion included extensive renovations to the west interior spaces, elimination of the north seating, and reworking of the southern region to accommodate Canadian Football League matches, the addition of 7,500 seats as part of an upper deck to the east, and the construction of a new roof over the east, west, and south seating stands. 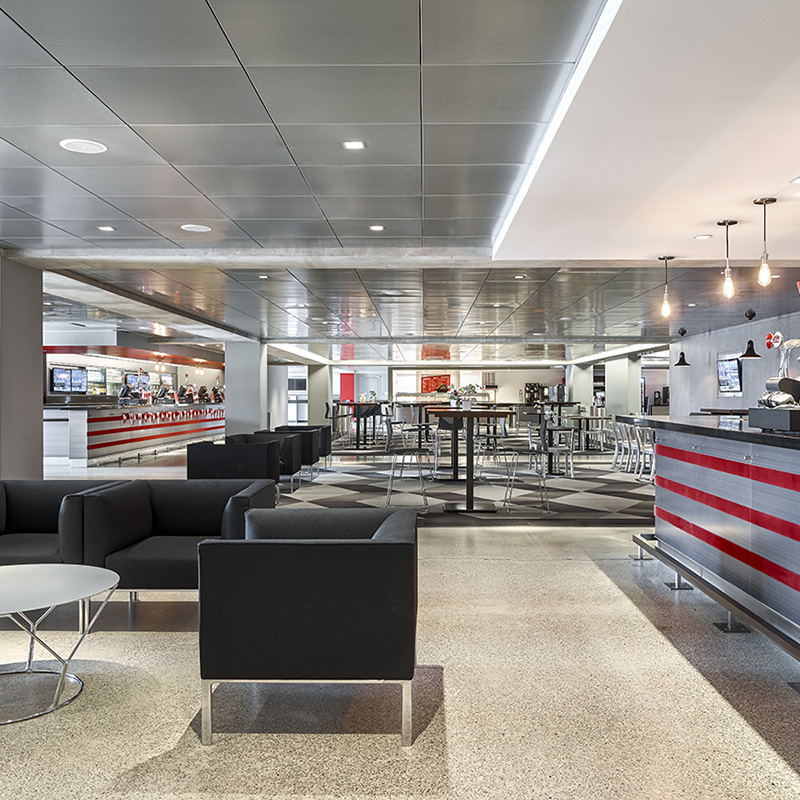 Challenge: The nature of the design and the space required the construction of a long-span roof over the existing seating stands. 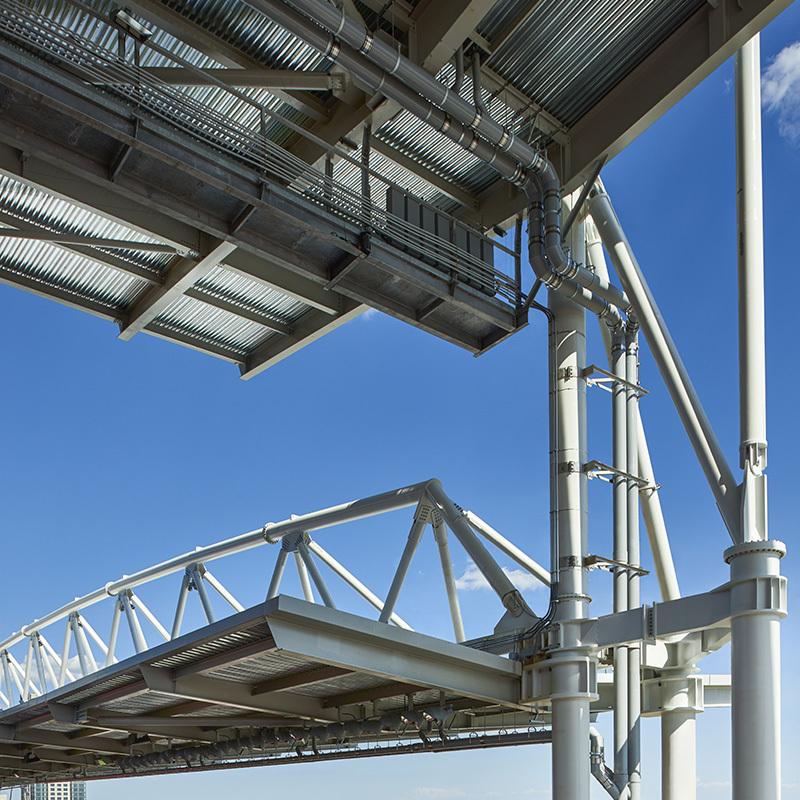 Solution: Multiple options for the roof structure were provided with consideration for cost and constructability. It was determined early on that the erection of the roof would drive the cost and scheme for the framing. 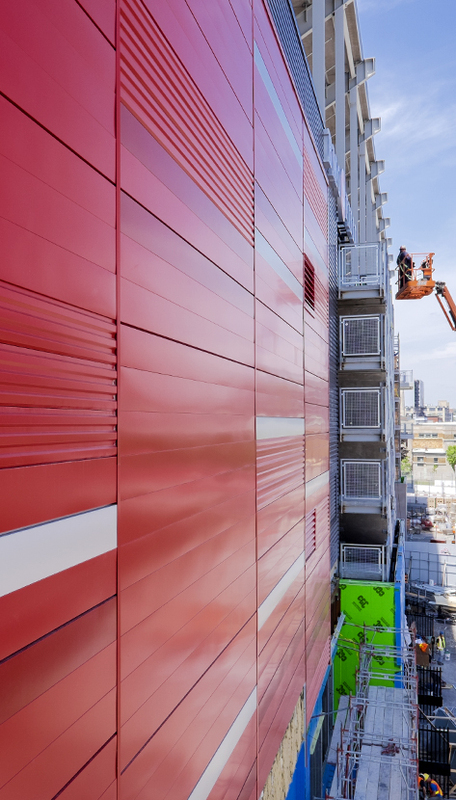 In order to provide optimal solutions, a structural steel sub-contractor was engaged early in the process to provide design assist and construction services.